Bespoke SEO strategies to help your site rank higher for keywords that matter. Behind-the-scenes improvements to boost site performance and functionality. Data-backed content strategies to attract and engage your target audience. Brand exposure and valuable backlinks built the right way, in all the right places. Targeted adverts that turn prospects into customers and deliver tangible ROI. Low-risk, high-reward partnership programmes with influencers in your market. 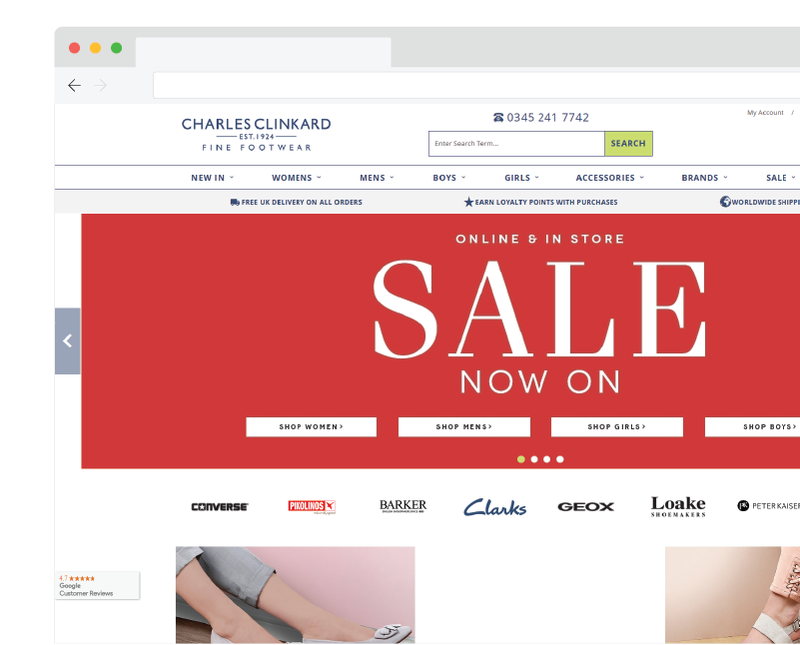 Charles Clinkard tasked our organic search team with maximising organic sales by taking advantage of seasonal trends. They were keen to establish a strong backlink profile and optimise their wide product catalogue for search. Prepare for seasonal trends with the right mix of technical, outreach and content work at the right time. Our tech team performed in-depth keyword research to identify seasonal trends in the footwear market, and prioritised work accordingly. We increased site relevancy and authority for priority keywords by producing optimised category content and accompanying buying guides. To build momentum ahead of peak selling periods, out outreach team arranged opportunities with relevant influencers well in advance. Making the most of product seasonality and market trends. Search visibility	Our work has had a consistent and significant impact on search visibility. Organic traffic	We have almost doubled the number of organic visitors to the site. Faceted navigation	Proper implementation and optimisation of faceted navigation was key. Quality links	We worked with a variety of top publishers to build links to focus areas. 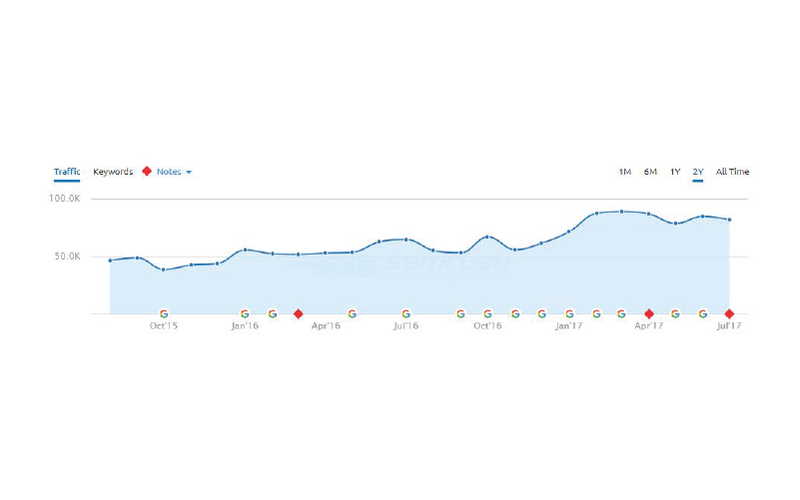 Our Google rankings have been on the up since we started working with Glass Digital. We always receive a different mix of technical, content and outreach work depending on what's being prioritised each month, so we know time is being spent where it has the biggest impact. They adapt their strategy in line with our seasonal focuses, which is really important to a business like ours. WANT TO ACHIEVE RESULTS LIKE Charles Clinkard's? Take the first step to better results. Forming profitable partnerships with affiliates like Quidco and Mumsnet. 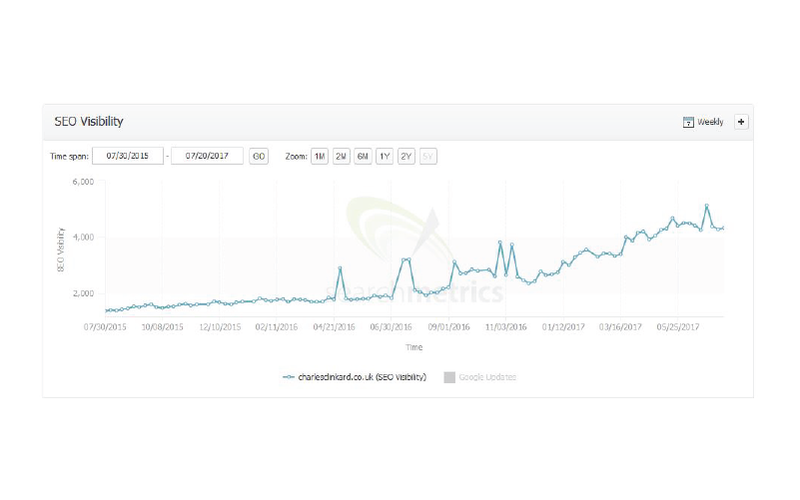 How our organic search team achieved a 683% increase in search visibility. Collaborating to ensure a successful site migration and better rankings. 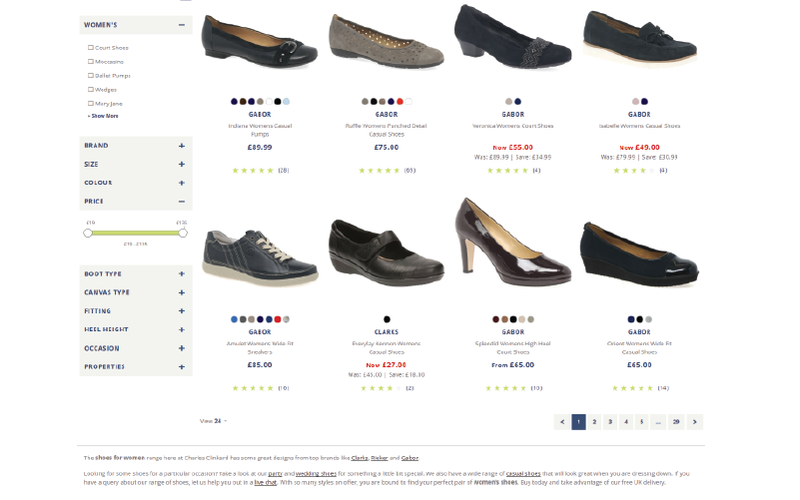 Harnessing a huge product catalogue to drive more online enquiries. Transparent digital marketing from specialists who work as an extension of your team. Bespoke strategies are shaped by data analysis, expert knowledge and an understanding of your business needs. © 2019 Glass Digital. All Rights Reserved.